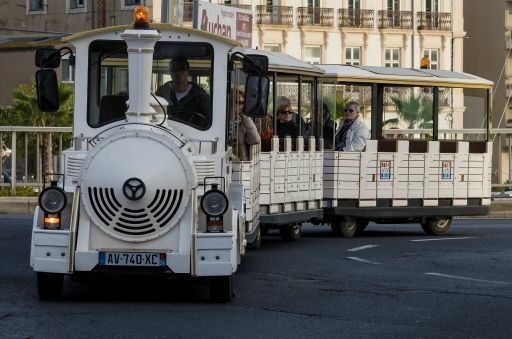 Le Petit Train de Nice offers a 45 minute ride aboard a white mini-train that takes you around the major attractions in the city - Course Saleya Flower Market, Place Massena, Vieux Nice, Castle Hill, Front de Mer seafront esplanade, Bay of Angels, Promenade des Anglais, and Albert I Gardens. Le Petit Train de Nice offers a 45 minute ride aboard a white mini-train that takes you around the major attractions in the city - Course Saleya Flower Market, Place Massena, Vieux Nice, Castle Hill, Front de Mer seafront esplanade, Bay of Angels, Promenade des Anglais, and Albert I Gardens. Trains depart every half-hour and provide commentary in French, English, Italian, Spanish, German, Russian and Japanese.